Come and enjoy a free movie, Hocus Pocus, by the lake at Northwest Vista College. 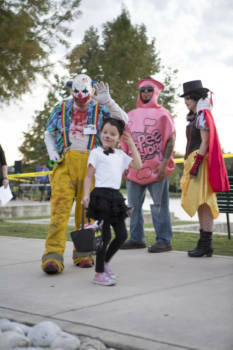 Activities start out with trick-or-treating for the kids, bounce houses, arts and crafts, a haunted house for older kids and a costume kids for adults and kids. At sundown the movie will show and stay afterwards to watch fireworks over the lake. Lago Vista Lake Area on campus.